Welcome to Sales Tips for Smart People Podcast, my name is Alex Branning! I am your marketing coach! Make it easy for your customers to do business with you, refer their friends to you and come back to you for more! Every Friday I am going to give you great ideas on how you can grow your business! I’m going to blow your mind! When you are not committed to a marketing plan then it’s a lot easier to fall victim to the “SQUIRREL” marketing mindset. Eric is doing his mid-year planning class, make sure you’re going to that! Look at your social media profiles through the eye of someone who has never met you before… is it easy for them to get an idea of how you can help them? LinkedIn Power Up Bonus!! This free video training will walk you through how to set up your LinkedIn profile for maximum benefit and give you some tips on how to structure your profile. 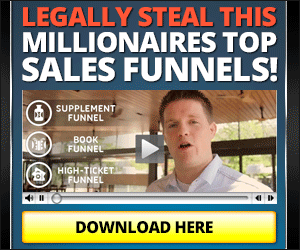 Many coaches charge hundreds of dollars for this training, but it’s yours for free! Facebook Ads follow up – so powerful! Email follow up – bonus tip, use a scheduler tool to make it easy for your prospects to set an appointment with you!